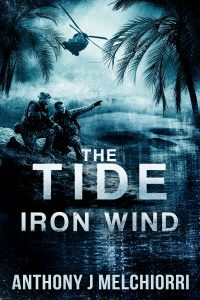 Book 5 in Anthony J Melchiorri’s The Tide series. The Democratic Republic of the Congo already faced the extreme ravages of war before the outbreak. But deep within the militia-controlled jungles, Captain Dominic Holland and his covert group, the Hunters, follow a lead in a desperate race to uncover who is responsible for the biological weapon turning humans into the monsters known as Skulls. But what they uncover may be far more dangerous and frightening than they ever expected. Back in the United States, a lost member of Dom’s team makes a final stand to survive and reunite with the Hunters. He faces a relentless tide of Skulls alone. Haunted by his past, he soon realizes far more is at stake than just his survival. The fate of the Hunters and their mission may rest in his hands.